Ever since the post-gold standard age of adjustable exchange rates was inaugurated in the mid-1930s to consensually engineer a negotiated depreciation, the question of exchange rates and of trade have been entwined and subject to international oversight. This certainly should not mean that US trade policy bureaucrats should obtain the power to usurp the IMF’s (and the Treasury Department’s) statutory authority and assess, and enforce, exchange values. This week, a slew of amendments attached to trade-related bills awaiting consideration on the floor of the US Congress would do exactly this. Despite the collective protests of all living US Treasury Secretaries dating back to 1972, protectionist and anti-China-minded members of Congress would compel the Commerce Department to investigate and apply countervailing duties to offset the ‘benefits conferred’ on imports from trade partners with ‘fundamentally undervalued’ currencies. Injecting enforceable currency disciplines into the cross-border trading regime is disingenuous. It is also quite probably illegal. The congressional amendments purport to rely upon the IMF’s approaches to calculating exchange rate undervaluation, and use the IMF’s surveillance-based list of indicators to determine currency manipulation. In reality, the amendments selectively pick from the IMF’s indicative list and append additional subjective criteria which, by working backwards, could be expected to reliably indict their favourite suspect — China — and lead to countervailing duties. The IMF’s surveillance-related guidelines require that in order to find manipulation to gain an unfair competitive advantage, the offending country’s exchange rate must be misaligned for securing an increase in net exports; the fact that its policies merely have the effect of securing such an increase is not sufficient. The distinction — one that is lost on Capitol Hill — is an important one. From 2001 to 2008, the period that is the target of protectionist displeasure, the real effective exchange rates of the yuan and the Indian rupee usually moved in tandem and roughly, in parity, yet the two countries’ respective merchandise trade balance positions could not have been more dissimilar. Factors in addition to the yuan’s value — such as China’s large pool of unskilled labour and the productivity of its foreign-invested electronics and light manufacturing sector — had the effect of preventing the adjustment in Beijing’s trade balances without the need for purposeful manipulation. At no time did the IMF present persuasive analysis that China’s excess reserves constituted a major problem for the international monetary system. Many of the same factors are evident today in Vietnam’s disproportionately large trade surpluses with the US. Congress’s currency manipulation amendments, if signed into law, would fall afoul of US international trade obligations. 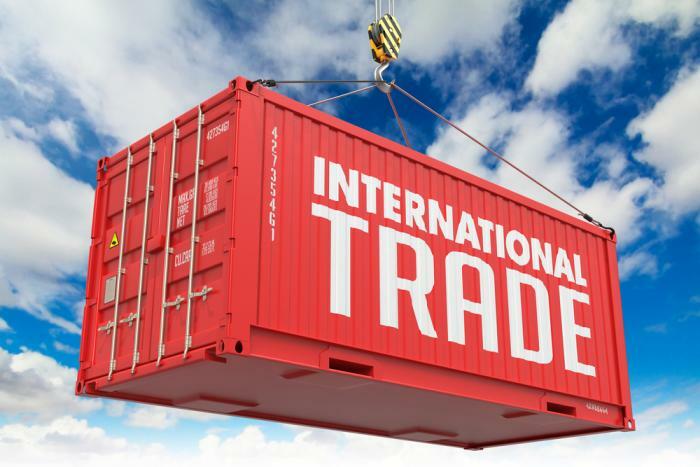 The WTO Agreement on Subsidies and Countervailing Measures (SCM) states that only enterprise-specific, industry-specific, region-specific or export-contingent subsidies that cause injury in foreign markets are challengeable through countervailing action. A presumed subsidy that is extensively available and may distort the economy-wide allocation of resources, such as generally applicable tax rates, below-market interest rates or a currency’s value, is not subject to the SCM Agreement’s disciplines. US attempts to designate an undervalued currency to be a subsidy that is ‘contingent upon export performance’ so as to qualify under SCM disciplines (even though Congress’ fine print readily admits that it could be invoked in circumstances not solely involving exports), stand no chance of passing muster at the WTO’s Dispute Settlement Body. The ruling will only tarnish the already sorry record of the US in such cases in Geneva. More generally, it is by no means clear that American consumers are about to reassume the role of consumer of last resort or that American producers are being undercut at home and priced out overseas. The US current account deficit is, at 2 per cent of GDP, at its lowest since the late 1990s. Despite the dollar’s fastest eight-month period of appreciation since the end of the Bretton Woods system in the early 1970s, its real value measured against a broad basket of currencies is still below its historical average. The People’s Bank of China on the other hand has turned to propping up the yuan rather than sterilising inflows, as capital has exited China at its fastest pace in 16 years. Looking ahead, while capital growth will eventually recover in the US economy, high levels of public debt, ageing-related spending and slowing productivity will weigh over medium-term growth prospects — with knock-on effects on import demand. Meanwhile, implicit beggar-thy-neighbour export outcomes among advanced economies that stem from monetary policy innovations, not north–south trade imbalances, will stress the fabric of the global trading order, much like how the introduction of central bank open-market operations almost a century ago divided the advanced economies and strained the global monetary order of the day. Global foreign exchange reserves, much of it acquired for self-insurance purposes within developing Asia, have risen from 5 per cent of world GDP in 1995 to 15 percent today. Yes, this vast $10 trillion sum constitutes a drag on global economic growth, given that it could be put to better uses (as, for example, the Asian Infrastructure Investment Bank plans to do). However, as a proportion of cross-border banking assets, official reserves remain modest and its ratio to external assets stocks has in fact declined since the early 1980s. Volatile cross-border liquidity and capital flows have in the meantime grown nine times faster than world trade during this same period. Rather than protecting import-sensitive sectors with dubious trade policy tools that would penalise developing country producers from managed currency zones, Congress and global policymakers would be better off updating the fraying architecture of the international monetary system. This system is plainly failing to keep pace with the cross-border surge in private and (post-global financial crisis) official liquidity creation. Reforming the system’s growing divergence between liquidity management and reserve management, rather than injecting currency clauses within trade flows, should be the commonsensical way forward.